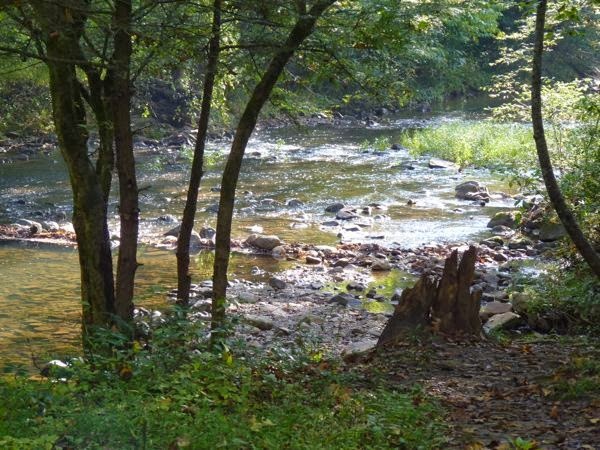 The Cherokee National Forest-Tellico Ranger District had several camping possibilities. So I headed up the Cherohala Skyway, a paved winding mountain road, to find camps for the next week. Indian Boundary CG was the largest developed campground with all the amenities, paved roads, good size sites, woods, camp store, etc. 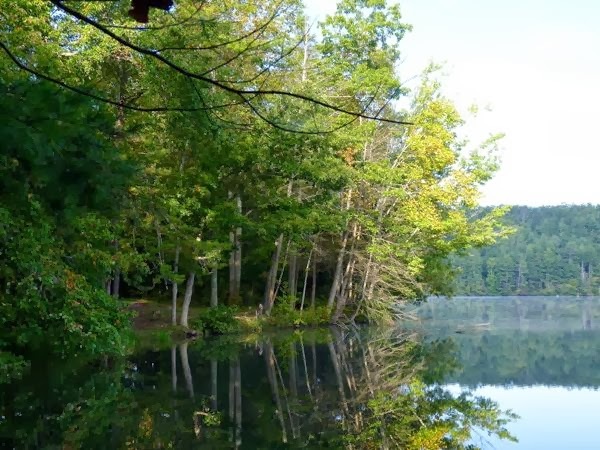 Situated on a lake with a 3 mile trail that circled it. I spent one night there with electric for $15. All sites were booked solid through the fall color season, so I had to move. Nearby, and on the way to the boat ramp, was what they call the Overflow. 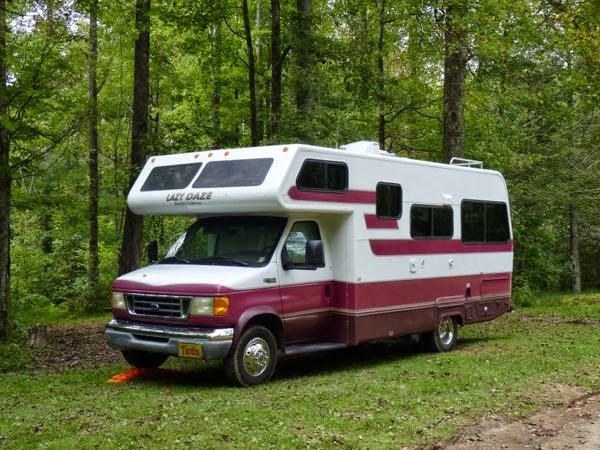 It’s for dry camping, with vault toilets and a few water faucets. It was much quieter there than in the main campground. By Sunday afternoon I had the whole place to myself. I stayed 3 days for $5 per night. The dump station was near the exit, so it was very convenient when I left. While searching for another spot to camp I drove by Bald River Falls. Of course I had to stop to take some photos. A bridge crossed the river right where Bald River emptied into Tellico River. This afforded a great view of the falls. Further down the road I found a place to pull off to have lunch. While there, I walked around and found some more nice photo opportunities. This sure was a beautiful canyon! After more exploring, I decided to continue my trip southward, so I headed down the mountain again. I arrived late to my next camp at a state park. While I was reading the entry board a local stopped to chat. He told me about some dispersed camping nearby, and recommended I check it out. So, I did. 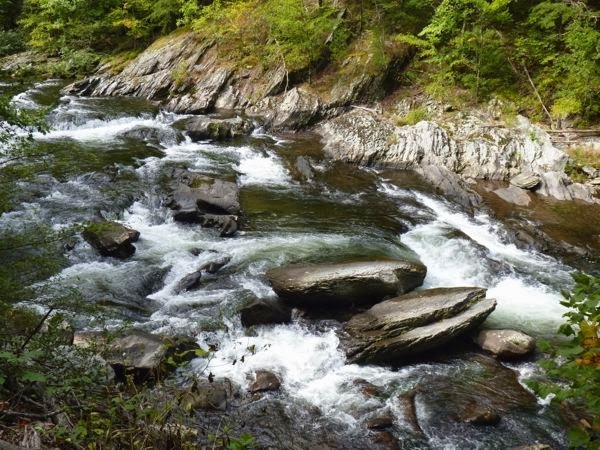 Up the Hiwassee River canyon, are a few defined camp spots along the road. I found one available, and pulled in for the night. The camp was next to Spring Creek which empties into the river. It was a bit close to the infrequently used road, but had a picnic table and fire ring. Since it was free, I stayed for five days. 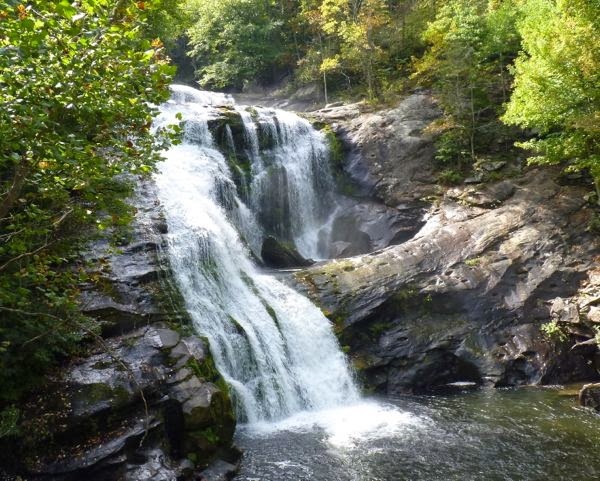 Along SR-30, near Lake Ocoee, I found another free camping spot next to Greasy Creek. It also had a picnic table, fire ring and a good spot for Tardis well off the road. This was just a one night stopover. It was a pleasant ten days in the mountains. The only drawback I found was no cell or internet signal. But, that was a small price to pay for the peace and solitude. And, I was able to get some blog posts written, do some reading, and re-organize some items. Leave a Reply to John Larner Click here to cancel reply.